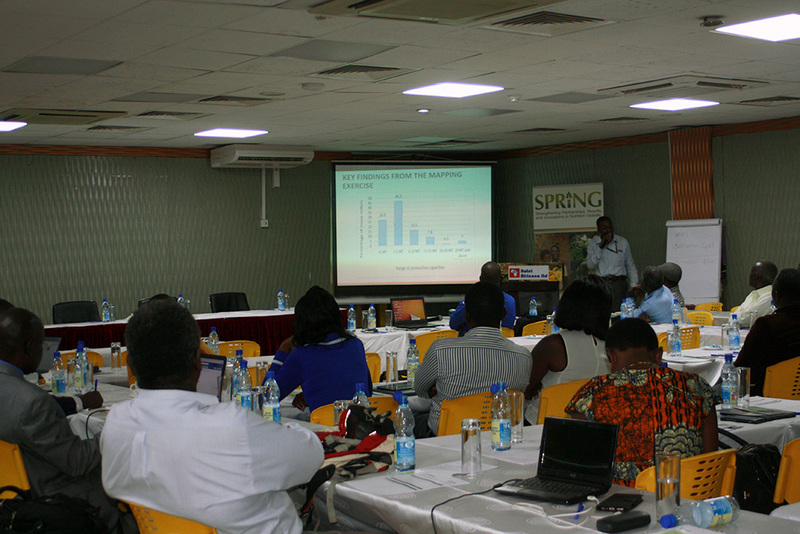 SPRING/Uganda presented on the current status of maize milling nationwide and the way forward for millers who would like to fortify during a dialogue and dissemination event attended by more than 40 stakeholders. 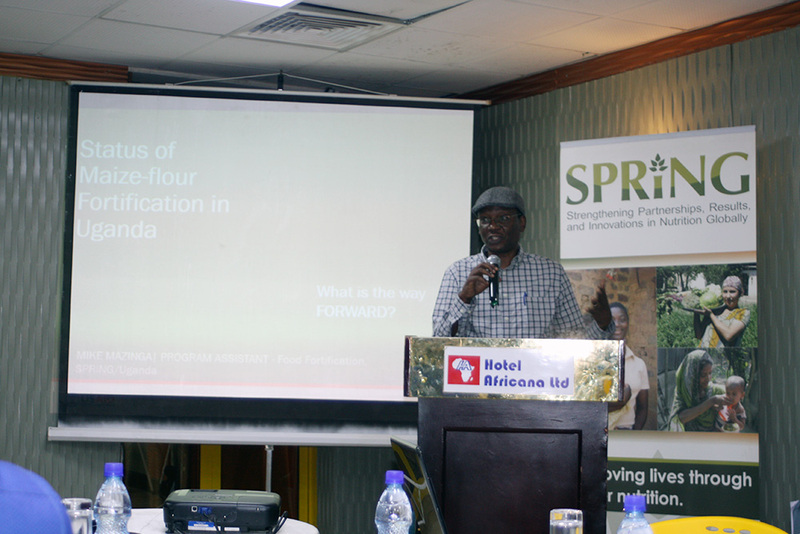 During this one-day meeting, millers and members of the National Working Group on Food Fortification discussed the challenges and opportunities in fortifying maize flour. 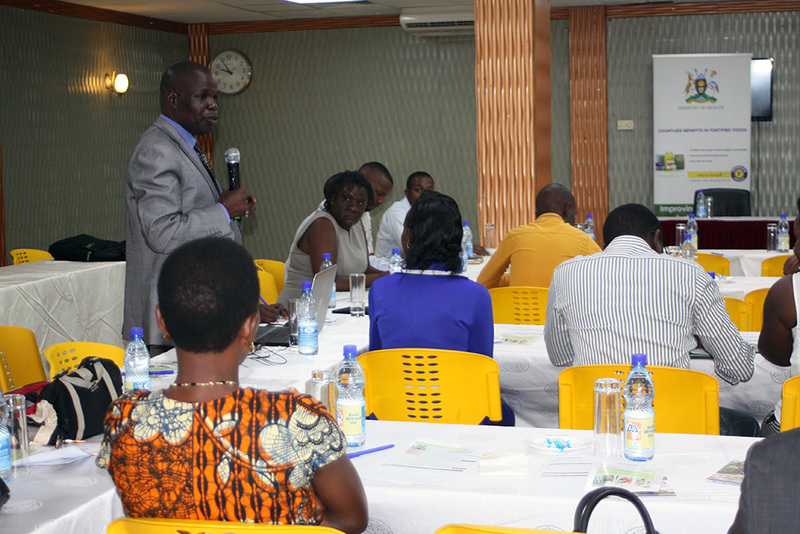 SPRING/Uganda Chief-of-Party opens the stakeholder’s dialogue for maize millers in Uganda. Willliam M. Ssali, a food fortification consultant, shares his idea with the millers on how to find trained personnel for calibration of fortification machines. 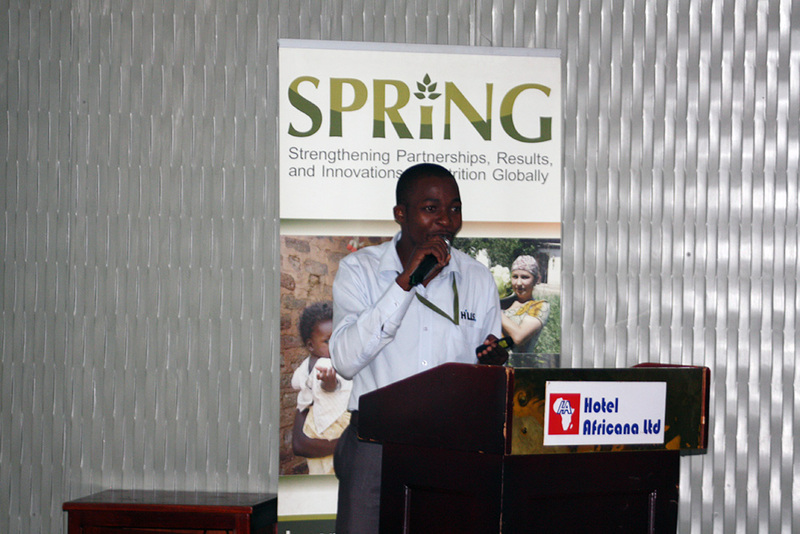 SPRING staff member Mike Mazinga presents on the current status of maize milling in Uganda. 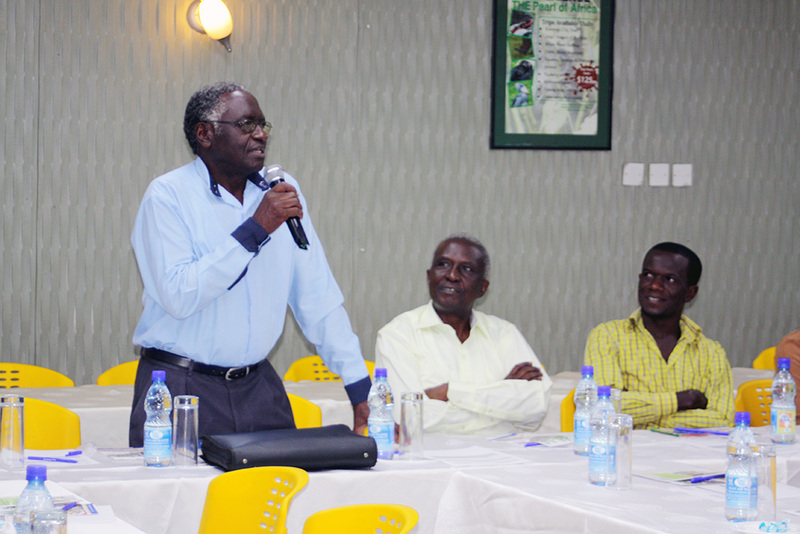 Mike Mazinga presents the results of the 2016 maize milling mapping exercise. 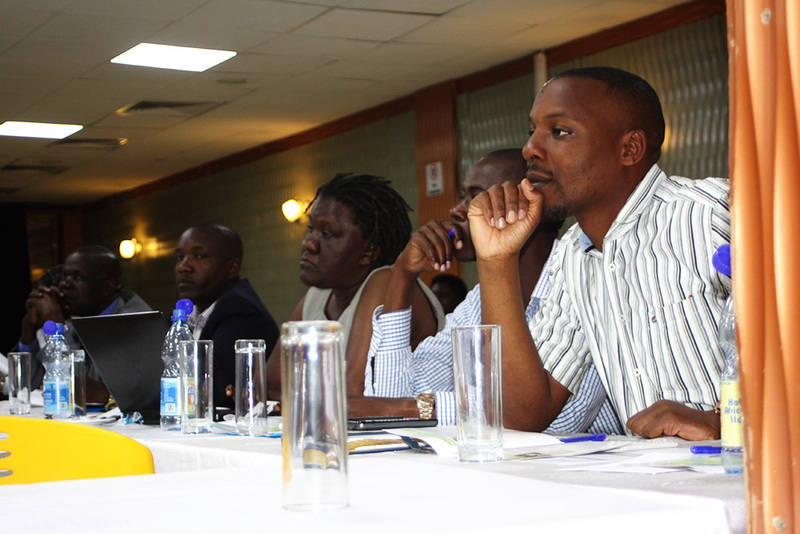 Participants listen to SPRING’s findings on the current status of maize milling. A representative from the millers Gimoro Laker-Ojok discusses the barriers that are preventing millers from starting maize flour fortification.